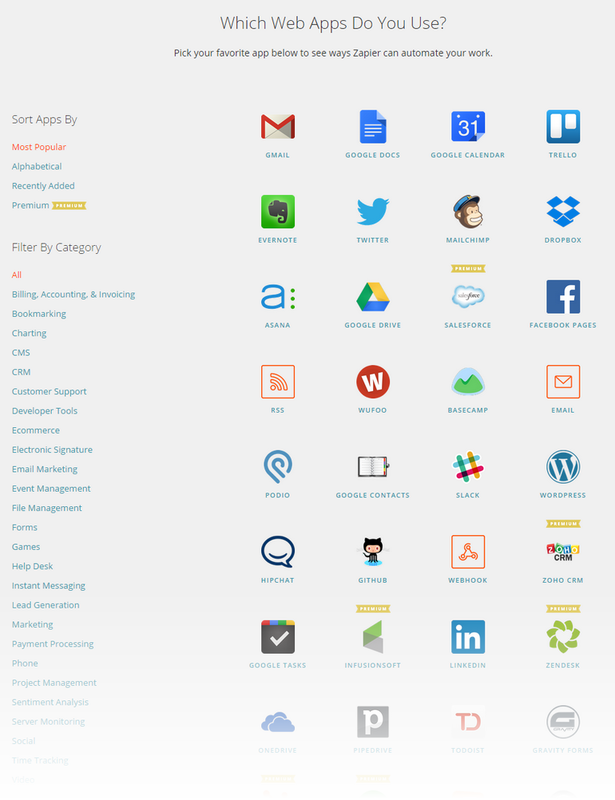 Zapier supports tons of platforms and services. Unlike IFTTT though, it’s not entirely free. Free version only supports 100 tasks a month. For $20/month you can bump that up to 3,000 tasks.